Every Chinese politician and author that wants to get noticed is raving about the “Chinese Dream” (an apparent ripoff of the “American Dream”). This Chinese Dream (中国梦 zhōngguó mèng) is a product of China’s Maoist theorists camp that is responsible for producing Party slogans, theories, and jargon that Chairman Xi Jinping and other members of the CCP utilize. 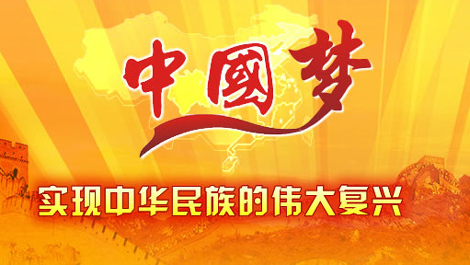 The “China Dream” is directly related to the “Great Revival of the Chinese” and although it was already moving force in 2008, it was pushed forward as a high-level slogan by Chairman Xi Jinping in late 2012. The idea is inherently positive, promoting the livelihood of the general populace; however, one can’t help but think that it is also a direct copy of the “American Dream.” Chinese politicians claim that it is distinctly different. My promise to deliver exclusive information is especially realized with this post. Try and Google “The Great Revival of the Chinese Race” (中华民族伟大复兴 zhōnghuá mínzú wěidà fùxīng) and you will find very little on the subject, yet in just five minutes of watching the news in China and I guarantee the news anchors will mention it at least once. Also, the slogan is found everywhere posted in the streets of China, usually as a banner hanging on many street lamps. What it really means and how it is to be realized is a sort of enigma. Sun Yat-sen used this phraseology about 100 years ago in reference to the 1800’s when the Chinese suffered 100 years of shame, losing two major wars with western powers as well as many other conflicts resulting in partial-colonization of China. The phrase first caught on in recent times in 1997, and ever since Hu Jintao spoke of it in 2002, it has been a topic of discussion. Even today, scholars, politicians, and the general mass are trying to understand what it really means and how it can be realized. First and foremost, this slogan is a reference to how China used to be the strongest power in the world during ancient times. In other words, Chinese officials don’t want to just live peaceably in its corner of the world, they aim to supplant the US as the world’s most influential nation. The understanding of this slogan is that it is the right of the Chinese race to restore its previous position. The slogan is also used to turn everyone’s attention to the leadership of the Party. It also goes in line with another popular slogan, “Socialism with Special Chinese Characteristics” (中国特色社会主义 zhōngguó tèsè shèhuì zhǔyì), a slogan that every Chinese has memorized since at least high school. Many Chinese pay little attention to much of the sloganeering as they believe it to be something that will eventually pass by like so many other political shenanigans that occur in China. I am one that hopes that this is also true for this particular slogan. There is nothing inherently wrong with any nation of people wanting something greater for their nation. It worries me when the leaders of a nation will do anything just to be #1, including sacrificing millions of their nation’s own people to achieve said goal. In the case of China, lung cancer rates have skyrocketed because of pollution, countless numbers of animal species are going extinct (again, pollution), and in imbalance in China’s social/economy development has wreaked havoc on many.